Sai continues his journey from Amritsar towards Ladakh, albeit with a slight change of plan due to the unrest in Srinagar. He finds a travel companion in Peter, a British explorer who has been riding his bike across the world, and the two set off towards Kashmir via the challenging Sach Pass, the mother of all passes! This was one of the most challenging stretches of the road trip, yet completely pristine and serene. There were a couple of landslides to deal with as well as streams to cross! Continue riding towards Key long, the last base before riding towards Leh with a stopover at Udaipur(HP) and Saarchu! 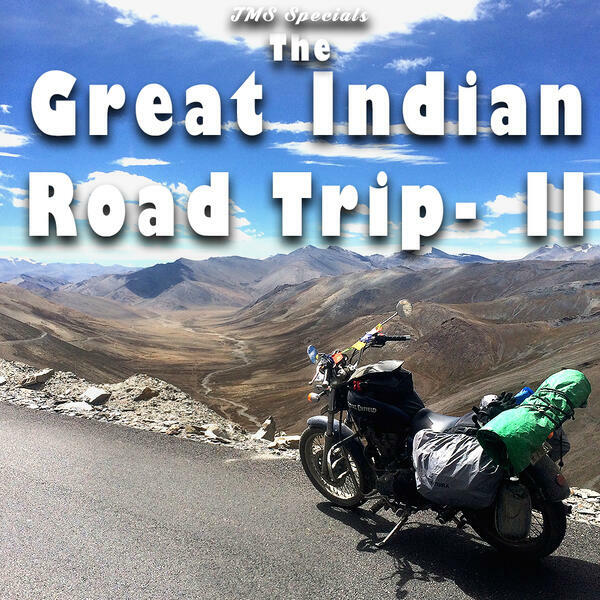 Start early, pass Pang before you hit the Leh-Manali highway and enjoy riding on good roads after a long time. Finally reach Leh on day 36! Sai spends about two weeks here where he meets up with family traveling from Bangalore! Some things to do are Pangong Lake, slightly over-rated according to Sai. Visit monasteries like Thiksey monastery, Shanti Stupa, the market place of Leh. Homestays is a good way to interact with the locals and be closer to the local culture. Treks to Nubra valley, seeing camels, Kargil war museum and tons of things to do in this beautiful town of Leh! Leh - Jaspa - Manali- Chandigarh. Finally get to enjoy the good roads after close to a month and enjoy some good food! Ride towards Delhi for a short trip and enjoy the sights around NCR before heading out towards Agra! Hit the Yamuna express way to reach Agra in a whiff! From here heads off towards MP where Khajuraho is his next stop - exploring the iconic temples and learning about the history of the place. Hiring a local tourist guide would be beneficial. Start riding towards AP and Telangana and reach Hyderabad!Feeling closer to home! Enjoy the sights of Hyderabad! Get some rest and head off towards Bangalore! Sai had to suffer another scare as there were Cauvery water related riots in Bangalore and parts of Tamil Nadu. Sai manages to get away to Hosur before things get out of hand. Sai continues towards Madurai and visits the Meenakshi Amman temple, an architectural marvel! Sai next heads off to Kanyakumari, enjoys Onam festivites on the way, enjoying some Sadya - the traditional meal of Onam! Visit the Swami Vivekananda rock memorial and museum to know more about his journey across India! Before finishing off the journey, Sai decides to join his family for the Sabarimala pilgrimage after which he returns back to Coimbatore - where it all started.